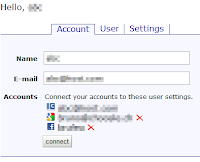 Until now you could login via your Google, Yahoo,... or another OpenID account. Now you can also use your Facebook account. 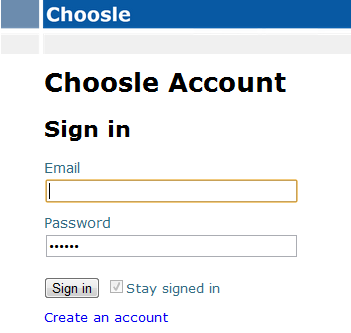 So when you are on Facebook regularly, you now have simple and quick access to Choosle. 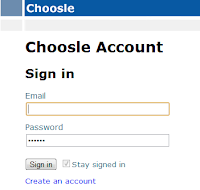 If you don't have a Google, Yahoo,... or Facebook account or you just don't want to use one of them, you can register now at Choosle directly. You can connect other accounts later (see following chapter). 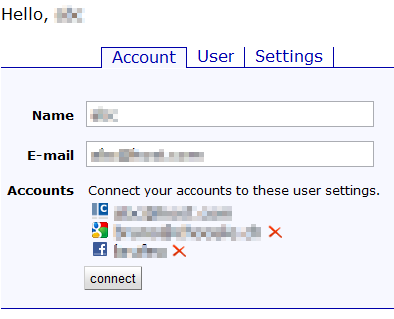 When you are logged in with your Google account, you can connect your Facebook account to the same user settings in Choosle. Of course this also works the other way round or with any other account. This way you can browse all your Choosles and see your settings applied, independent how you log into the system.